Intern with Freedom To Thrive! 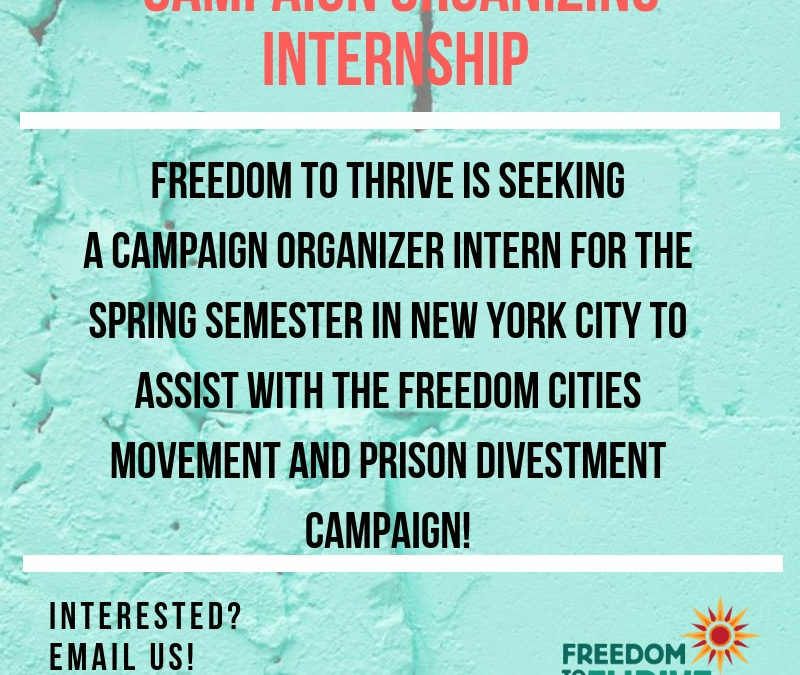 Freedom To Thrive is seeking a Campaign Organizing Intern in New York City to assist with the Freedom Cities movement and Prison Divestment Campaign. The Campaign Organizer Intern will aid in organizing and outreach efforts. They will help in coordinating and supporting student organizing efforts. The intern may also produce research to inform campaign strategies. The ideal candidate will be a student eager to engage various student bodies on prison divestment while forging strong alliances to community-based organizations. This is an unpaid internship. Academic credit can be arranged. Minimum 10 hours a week, possibly including some weekends and evenings. Start date is flexible. 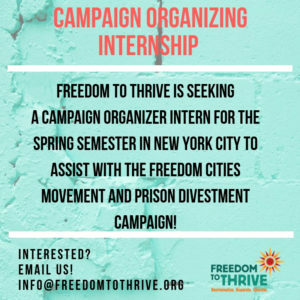 To apply or for more information, send an email to: info@freedomtothrive.org with “campaign organizer intern” in the subject line.